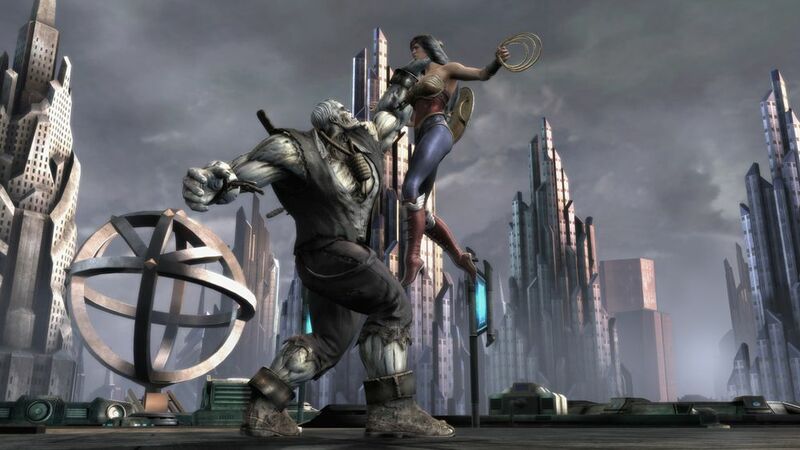 Injustice: Gods Among Us is a fighting game developed by an American NeteherRealm Studios. The developer is known for a successful Mortal Kombat reboot, which breathed new life into the deteriorating franchise. The founder and head of the studio is Edward J. Boon, the originator and creator of most of the games in Mortal Kombat series. 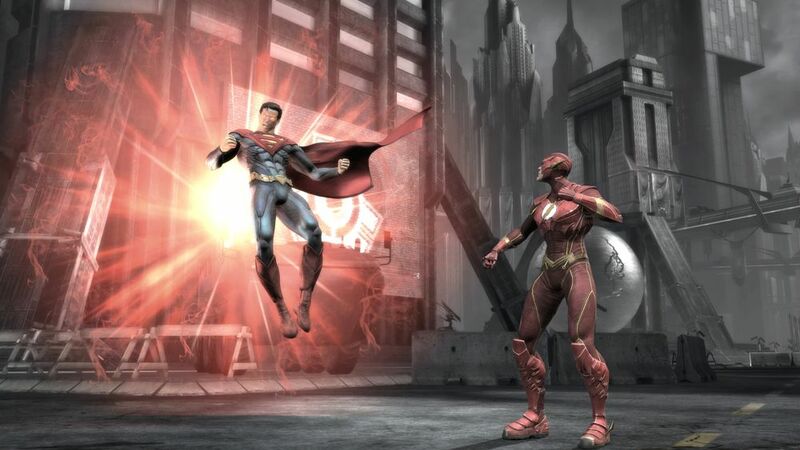 The game allows you to play as the most popular superheroes and supervillains from the cards of comic books and movies based on DC Universe, such as Superman, Batman, Flash, Wonder Woman, and Harley Quinn. These characters fight one another in this troubled world where the line between good and evil has blurred. The original story of the game is one of its biggest advantages and should appeal to all fans of the genre. 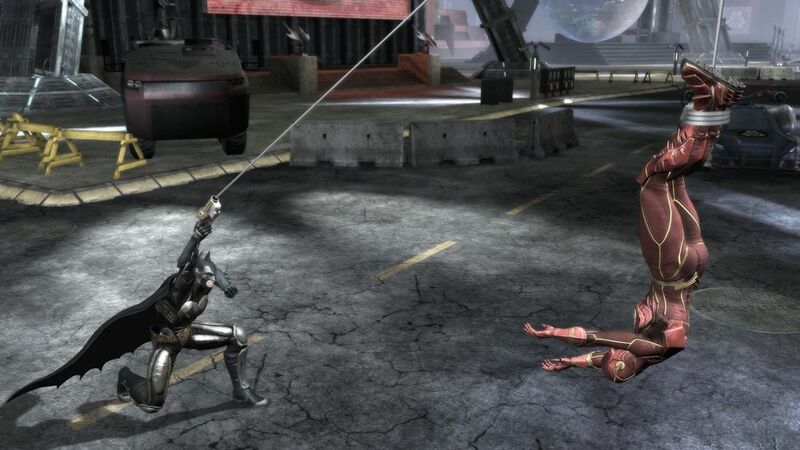 The basic gameplay model in Injustice is similar to that of Mortal Kombat. Two competitors take part in each battle and the one who first knocks out the opponent, wins. Duels are truly spectacular, and the characters use their characteristic powers and skills, known from comic stories. Using superhuman strength, they are able to throw opponents flying, hammer them into the ground, or hit with cars. Of course you also have a standard set of movements such as kicks and punches. Although the character models and the background are in full 3D, combat is played out in just two dimensions. Injustice introduces some minor innovations to the fighting games genre. The developers wanted to increase the importance of the very arenas - now they are filled with objects that can be interacted with. Each character does it in a different way, for example, Superman can throw a car at an enemy, while Flash hits an opponent against a bonnet. Another important detail is that the locations are composed of several places between which you can move around. This makes the clashes more dynamic and very spectacular. Finally Injutice 2 codex Repack .... wait !! what ? hey what's going on ?! where is the new repack of Injustice 2 ?! Is there any difference with this repack compared to previous one? How to install the credit file?